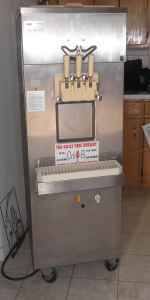 2/10/11 - Coldelite 3 Head Soft Serve Machine in EXCELLENT CONDITION with 3 Phase and Single Phase Electrical. Asking $2000. Please Call: 830-625-1972.